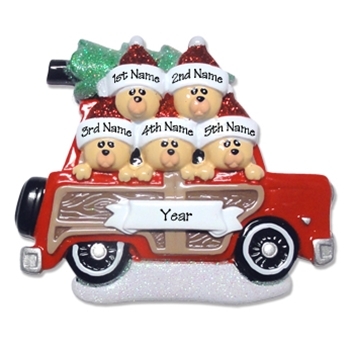 Ornament with 5 bears is designed by Debi Allison, made from RESIN and hand painted. It has a touch of glitter on the tree and the snow for that magic sparkle. This ornament was designed by Debi with lot's of help from her husband Glenn. RESIN ornaments are slightly smaller than the polymer.